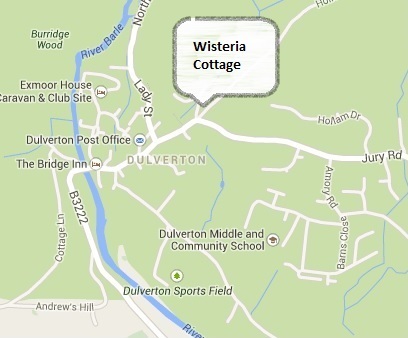 Wisteria Cottage is just off the B3222 where the High Street meets Jury Road, situated in between the Rock House Inn and Stanburys Garage – you can’t miss it! There is no car parking available at Wisteria Cottage, but there is free on-street parking just along the main road within 50 yards of the cottage. If there are no spaces available when you arrive, you can pull up outside the front of the cottage, drop off your luggage and we will show you where you can park. As you enter the gate at the front of Wisteria Cottage, there are a few steep steps to negotiate - please tread carefully, especially in wet conditions!